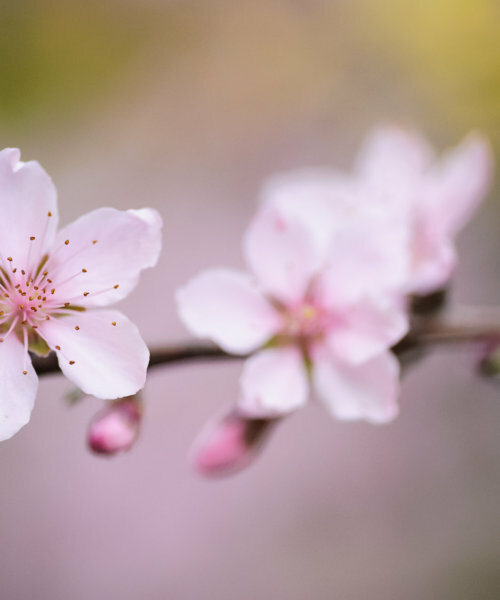 The Peach Blossom Celebration was created so that you could enjoy the beauty of the farm while hundreds of trees are dotted with Pink and white blossoms. Once a year over 80 acres of fruit trees start blooming at all different times and once a year, we open the farm up to celebrate that beauty. When visiting you can take a train ride, hay ride, walking train to see the orchards. Some orchards are smaller than others some may be in full bloom, while others are just starting. “like” our FB Page to keep up to do on when all the blossoms are at their peak. Tours times: 9:30am, 10:30am, noon, 1pm, 2pm, 3pm) More will be added as needed. Walking trail – we have set up a pathway to enjoy a beautiful walk towards the orchard in bloom. If it’s a gorgeous day, then this may the one for you. train ride – enjoy a 13 minute train ride through one of the orchards that typically blooms the third or fourth week in February $3. Hayrides – The hayride will take you to and from our Fallow Deer, where you will get a chance to feed them and pet them. Our Fallow Deer were rescued from near an apartment complex in Downtown Glendale almost 10 years ago. They are very social and look forward to your visit on the hayride. All Amusement Rides will be open & operating each Saturday from 9am to 3pm. Rides are $3 each or $15 for unlimited ride wristband. Don’t miss the Country Store and Bakery where we start with our famous cinnamon rolls and Peach Pies. Peach Blossom All Natural Honey, Peach preserves and peach salsa!